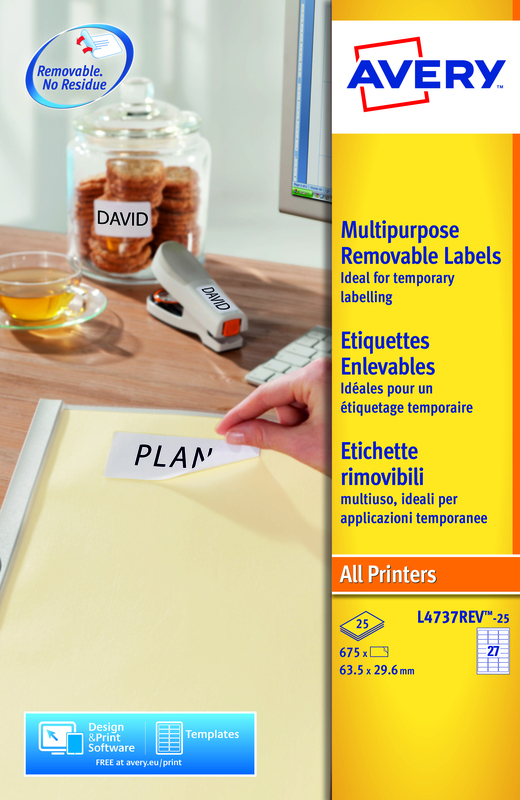 These Avery removable labels stick securely to almost any surface and can be removed or repositioned without leaving sticky residue. The JamFree technology has been developed for these labels to optimise them for smooth, uninterrupted use with your laser printer. 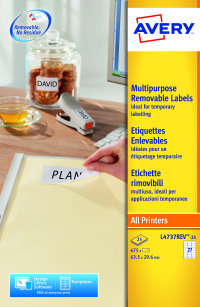 Try Avery's free software and templates to design professional looking labels. Made from fully recyclable paper, this pack contains 25 sheets with 27 labels per sheet (675 labels in total).